The Customize Windows > Computer and Internet > General > What is Wheel Group in UNIX and Unix-Like OS? Why GNU `su' does not support the `wheel' group =============================================== (This section is by Richard Stallman.) Sometimes a few of the users try to hold total power over all the rest. For example, in 1984, a few users at the MIT AI lab decided to seize power by changing the operator password on the Twenex system and keeping it secret from everyone else. (I was able to thwart this coup and give power back to the users by patching the kernel, but I wouldn't know how to do that in Unix.) However, occasionally the rulers do tell someone. Under the usual `su' mechanism, once someone learns the root password who sympathizes with the ordinary users, he or she can tell the rest. The "wheel group" feature would make this impossible, and thus cement the power of the rulers. I'm on the side of the masses, not that of the rulers. If you are used to supporting the bosses and sysadmins in whatever they do, you might find this idea strange at first. GNU Linux systems do not enable the Wheel Group by default. FreeBSD, OpenBSD, NetBSD, Apple OS X and all UNIX OS; however has Wheel Group by default. In some Linux distributions like Gentoo Linux alternative implementations maintain these requirements. Because of the migration of system developers TENEX/TOPS-20 Unix , the term was adopted by the Unix community. In several of these systems the command “su”can be used to gain the root access. Anticipating misuse, some system administrators only allow access the command by certain groups, often identified as wheel, indicating a higher level of confidence. In a GNU Linux is not necessary that a user is in the wheel group to use the su command, this is mainly for philosophical reasons. Modern Unix implementations generally include a security protocol that requires a user be a member of the wheel user privileges group in order to gain superuser access to a machine by using the su command. When a server had to be maintained at a higher level than the day-to-day system administration, root rights were often required. The Wheel Group was used to create a pool of user accounts that were allowed to get that level of access to the server. For Linux : Most GNU Linux systems, come without wheel groups configured and implemented. However, a wheel group implementation requires no special effort. The basic set up, as it was in the beginning. Create a wheel group in /etc/groups or /etc/groups. Change the permissions of the su command so that only those in the wheel group may run it. 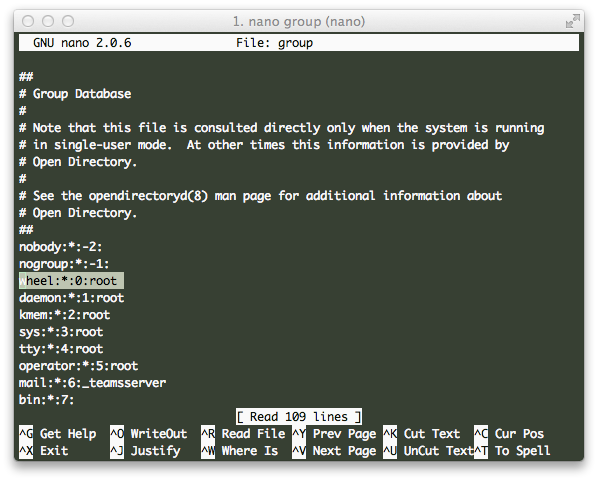 The same kind of file exists on UNIX (BSD variants and OS X) as /etc/pam.d/su. DO NOT Edit any file without knowing theory in details. Wrong editing can result in buffer overflow/buffer overrun. This Article Has Been Shared 7139 Times! Articles Related to What is Wheel Group in UNIX and Unix-Like OS? Convincing Clients to Switch to Cloud Computing – Some people have the ability to convince anything they want, client is blessed if it is for the better option. Web standards is a generalized terminology used to refer the current standard and specification that define, describe technical aspects of the World Wide Web. Title: What is Wheel Group in UNIX and Unix-Like OS? Cite this article as: Abhishek Ghosh, "What is Wheel Group in UNIX and Unix-Like OS?," in The Customize Windows, March 29, 2014, April 23, 2019, https://thecustomizewindows.com/2014/03/what-is-wheel-group-in-unix-unix-like-os/.